Co-produced by Dhana Media, BTF Media and Raze, the companies behind the biopic, have announced the actors will each play a different stage in Maradona's life, accounting his adolescence in Villa Fiorito throughout his turbulent time in and off the field. 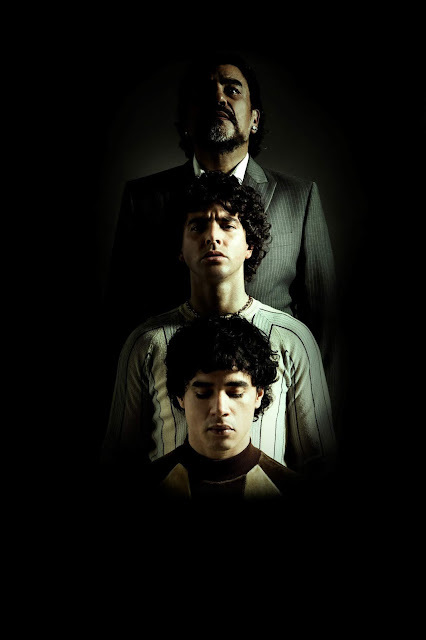 Nicolas Goldschmidt (Farsantes) will interpret Maradona's early years as a footballer; Nazareno Casero (Stories of a Clan) during his rise to fame and Juan Palomino (Truth Consequence) in his darkest days. Amazon Prime Video will soon share the story of the world's most famous soccer star, Diego Armando Maradona. The biopic series will look back at his life from infancy through to his present life and his journey playing for Barcelona, Napoli, Boca and leading his national team as captain for Argentina. "Collaborating with Dhana Media and BTF Media, to tell a story of global interest in a completely international production, represents both an enormous challenge and a great pleasure," said Mari Urdaneta, Chief Content Officer of RAZE, the Latino Digital Media Company backed by Sofia Vergara. "Diego is considered to be the best player in the history of soccer and is world renowned from his many controversies and high-profile life." The series will begin filming in Argentina, continuing its journey to Uruguay, Mexico, Spain and it will end production in Italy; making this the largest international production about the world's greatest soccer star. ⏩ The series will be available in more than 200 territories on Amazon Prime Video, and later distributed on linear platforms through Disney Distribution.